from our house to yours...: Show us your HH!!! Hyer Holiday Bazaar in Dallas, Texas last week. WE LOVE YOU!!! We really do! And we LOVE to hear back from you! We want to make our customers happy as we guarantee quality products! Thats why we want to give back! We are doing a fan photo contest. November 7-17 we want YOU, our valued customers, to email photographs of your HH Design House products: the more creative the better! We will compile the photographs in a Facebook album titled "Show Us Your HH Fan Contest" on the 18th when voting ("liking") begins! The photo with the most points will win a $25 GIFT CARD TO HH DESIGN HOUSE applicable to ANY product or service! Encourage your friends to "like" us on Facebook to vote for you picture! "Likes" are worth 1 point. If someone leaves a comment, it is worth 5 points (one comment per user) !!! We will encourage all of our followers to like the fan pictures! Creative pictures are encouraged to receive "likes" and comments. *DON'T FORGET TO TAG YOURSELF* in your photo!!! Kid's products at a trunk show. More awesome personalized gifts set up at a trunk show in Houston. 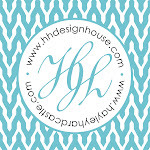 Email us your HH Design House photo November 7-17 to paige@hhdesignhouse.com. We will post the "Show us your HH Fan Contest" album on November 18. The photo with the most points will win a $25 gift card toward a purchase of a product or service at HH Design House. "Likes" are worth 1 point. "Comments" are worth 5 points. Contest ends Monday November 26 at 3 pm CST. Winner will be announced at 5 pm CST. Don't forget to TAG YOURSELF in your photo. We'll try to do it for you, but you MUST "like" our page to be able to be tagged.